Browse our unique selection of brass urns. 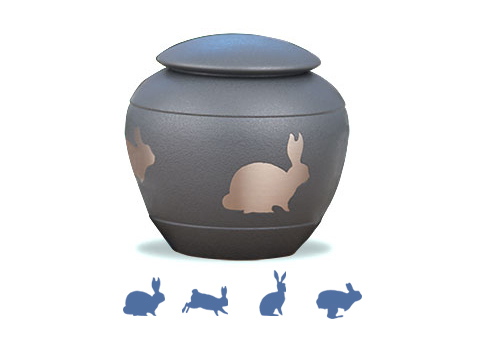 Darling Rabbit silhouette urn. Blue only. A lovely choice for your cat's urn. This brass urn, with a shale blue finish, is adorned with four different brass cat silhouettes on the outside. Solid brass in a warm slate finish with pawprints all around. A classic style urn with a bronze/gold finish. Small will hold a pet that weighed up to 70lb. Large will hold a pet that weighed up to 120lb. 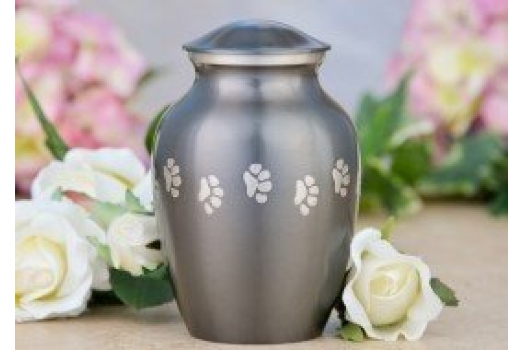 A classic style urn with a pewter finish. This attractive raku finish, brass urn with copper paw prints, is a tasteful option for your pet. 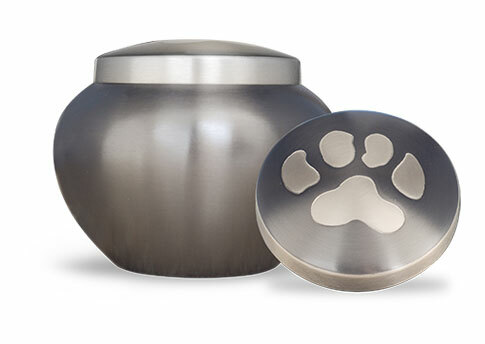 A stunning brass paw print urn with pewter finish and brass finish paw prints.